Trigger's Retro Road Tests! By: Trigger's Retro Road Tests! 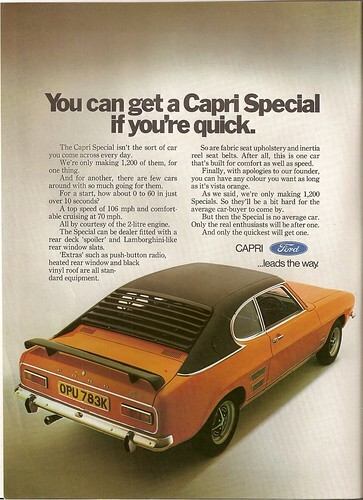 The first Special Edition, the Vista Orange Special, 2000GT with bright orange paint and Mustang type dress up by way of louvers for the rear screen and a boot spoiler.